"Make the brand instantly recognisable. 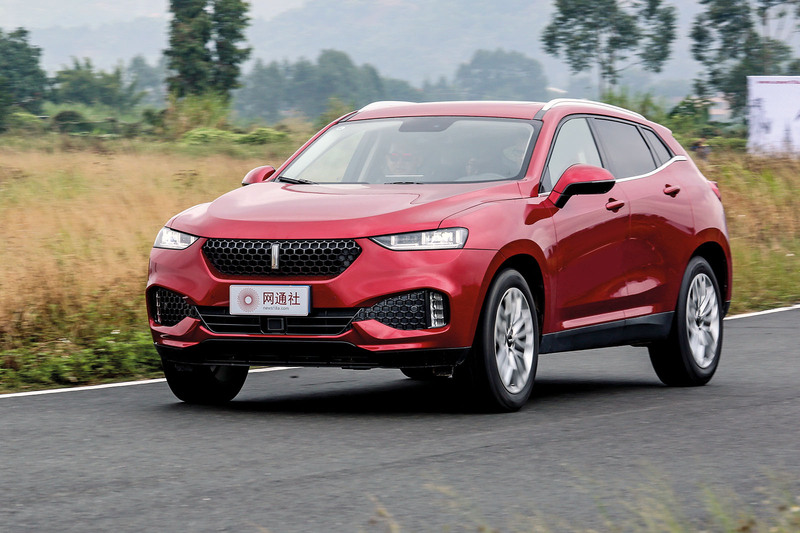 That will be the key to our success.” There’s a blueprint for how China’s car makers will be able to crack mature markets overseas such as Europe and the US, according to Borgward design chief Anders Warming. He should know a thing or two about building brands, having joined Borgward, the old German marque rekindled under Chinese ownership, from Mini, where he was part of its shift upmarket. Whatever you think of Mini’s cars, the sales suggest the brand repositioning has had strong early success. What was clear from walking the halls of the Guangzhou motor show last year was how serious China’s car makers are about going global. Korean and Japanese brands were name-checked as targets by China’s car makers, who for the first time spoke with some authority and logic on how they could get there. Now the fast-improving cars need strong brands to support them – brands with substance that must be new, so they are not tarnished by the reputations of recent failed attempts from existing Chinese marques to sell overseas, most notably Brilliance. “When you create a new brand, you can set it at a certain height, start there and then move it up,” said Guangzhou Automotive Company (GAC) design chief Zhang Fan. His company launched the Trumpchi brand in 2011 that has sold more than half-a-million cars in its short life and proudly speaks of making the Chinese domestic cars with the highest prices. Fan added: “It’s easier than taking an existing brand and moving it up there, as people are used to it selling cheap cars with bad quality.” He doesn’t mean moving brands upmarket, rather taking them from the bottom of the ladder up to mainstream respectability. As Skoda, Hyundai and Kia have found, getting there is a long and arduous journey. Fan’s inference is that an existing Chinese brand would struggle to become even a Kia (circa 2005) without starting again. GAC is having success with this strategy. So too is Great Wall, with its Haval marque selling more SUVs – which make up around 60% of the Chinese market – than any other brand for seven years running, and now Wey, its more premium sibling. Wey was created in 2017 with international expansion in its remit from the start, and a European and US launch is about four years away. Once the brand and the styling of the cars are right – “You can build a car as good as you want but, if it doesn’t look good, no one will buy it,” said Wey boss Jens Steingräber – safety is the next key challenge and crash tests must not just be passed but also excelled in. To that end, ex-Audi man Steingräber made a thinly veiled reference to Brilliance, whose plans for a European launch were permanently derailed by its one-star Euro NCAP crash test. “Lie one time, and no one will ever believe you again,” he said. The brand that seems to tick all of the boxes is Lynk&Co. It is owned by the vast, wealthy Geely Group, which has nurtured Volvo to quite extraordinary success since it took ownership in 2011, and has developed a range of smart-looking models alongside the Volvo XC40 and upcoming V40 and others, whose quality and safety should be beyond reproach. Build it and they will come, hopes Geely, and we’ll find out soon enough with European sales starting in Germany from 2019. And Borgward? It too has a confirmed European launch date, also starting in Germany but a year earlier than Lynk&Co in spring 2018. However good a game Borgward talks, it has overlooked the crucial part of the formula: pricing. At €44,000 (£39,000), its BX7 TS will be competing head-on with the Mercedes GLC and Audi Q5. Wey to go: the styling's neat, but what's it like to drive? You can have as strong a brand image as you like, and as nice a looking car, yet if the cars aren’t any good to drive… Spend some time in Wey’s VV7c and you realise why there’s no European launch planned for a while yet: the car just isn’t there dynamically. We sampled it on track only, where an SUV is never going to shine, but the lacklustre performance of the self-developed 2.0 turbo engine and seven-speed dual-clutch ’box in particular were plainly evident, as was the rather uninspiring handling and crude body control. Shame, as the exterior design outsmarts many a car already on sale in Europe. If I go Asian I go Japanese. Mazda would be my first choice. Just a bunch of "me too"
Just a bunch of "me too" samey crossover SUVs. When is someone going to release something interesting? TBH, I would rather walk than buy a Chinese made car. I am fed-up with good European named goods failing either to work at all or last two days before falling apart....only to notice no longer 'made in Germany', but the dreaded 'Made in China' labelling. Their quality control is woeful, and it seems their M.O. is to just continuously replace rather than build it properly in the first place. If they cant get it right with simple everyday domestic products, god help them with something complicated like a car. I also dislike their cavalier atitude to Patents and design theft, and on that behaviour alone I would never consider their product. There is a world of difference between a company like Geeley buying a respected Marque like Volvo and one of their lookalike bean cans with some weird meaningless concoction of letters and numbers for a model name. Looks more like a password than a model name! Resurecting the Borgward name....whats that about? Hardly a living person left remembers that brand.....and like - the world really needs yet another car brand with 30% over supply already. So lets compete head-on with established household names!!!!! You cant buy your way into a premium market product. You have to earn that position/respect. Lynk & Co.....whats that a shirt manufacturer or dont they make cuff-links or something?!!! MG still not making much marketshare headway....only one person I know has bought one and they demanded their money back after 6 months of continuous breakdowns whenever it rained.....and it rains a lot in the UK! Great Wall was launched to a great fanfare.....that fell sharply on its arse over here too! Who cares anyway, thaye have a huge home market keep the rubbish over there I say! I couldn't agree more. If there is any justice in this world the chinese ought to fall flat on their faces when it comes to succeeding in the premium sector in Europe and NA because let's get one thing straight: there is no other country on this planet where copying, plagiarism and downright theft is as rife as it is in China. It's become their national obssession. And it's obviously not just confined to the automotive sector - in every product and service category (be it electronic, engineering, transportation, entertainment etc etc) the Chinese have been shamelessly stealing and ripping off foreign companies' designs and ideas for years without regard for international IP or copyright laws. They say their aim is to catch up with the West but nobody told them to do it illegally. The Japanese and the Koreans did it the hard way, taking decades of honest effort to get to where they are now, so why can't the chinese? Needless to say, moral rectitude is in short supply in that country and european, american, japanese and korean companies would do well to implement stricter controls when it comes to sharing technology and know-how. And if that means scrapping JV's altogether with the chinese, well, so be it. How can the Chinese succeed? Make them reliable and sell them cheap. It's worked in the past and it'll work in the future.